Vin Diesel has become a part of the Marvel Cinematic Universe thanks to his voice work in James Gunn's Guardians of the Galaxy, but it seems that his part as Groot may not be the only hero that he ultimately brings to life. 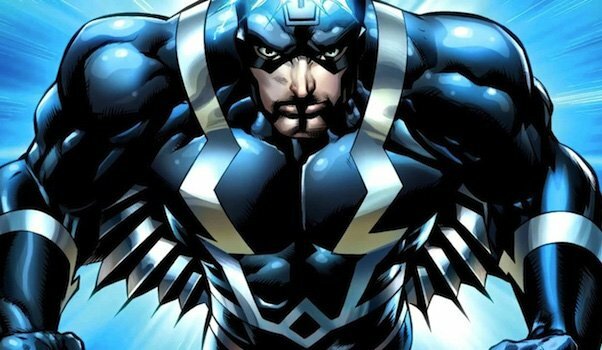 As he's been doing for a while now, he's hinting about potentially taking on a second Marvel role - possibly in 2019's Inhumans. In the comics, Blackagar Boltagon, a.k.a. Black Bolt is not just an Inhuman, but the king of the Inhumans. Like the other members of his race, exposure to Terragin Mist gave him an extraordinary gift - though his is also a powerfully destructive one. Within the speech center of his brain is an ability to harness electrons, and as a result a mere whisper can destroy a house. Because of this, he is forced to remain silent at all times, and goes as far as to train himself not to talk in his sleep. With an Inhumans movie coming in a few years, it's not hard to decipher who Vin Diesel is referencing. Those who regularly follow updates behind the scenes of the Marvel Cinematic Universe will recognize that this isn't the first time that Diesel has tried to create a connection between himself and Black Bolt. Following the release of Guardians of the Galaxy in summer 2015, he went as far as to leave a message on his Facebook saying, "I get the strange feeling that Marvel thinks I'm Inhuman... Haha." Clearly he wants the gig, and since he notably used social media to rally support for his role as Groot, perhaps he can make Black Bolt ultimately happen too. Given that it's not coming out for another four years, there is still a lot of development time ahead for the Inhumans film - though if you're really in the need for Inhumans action I'd recommended keeping up with the most recent episodes of Agents of S.H.I.E.L.D. As a result of this, it will probably be a while before we hear any official casting announcements for the movie, but until then there is hope that Vin Diesel will ultimately land the part.